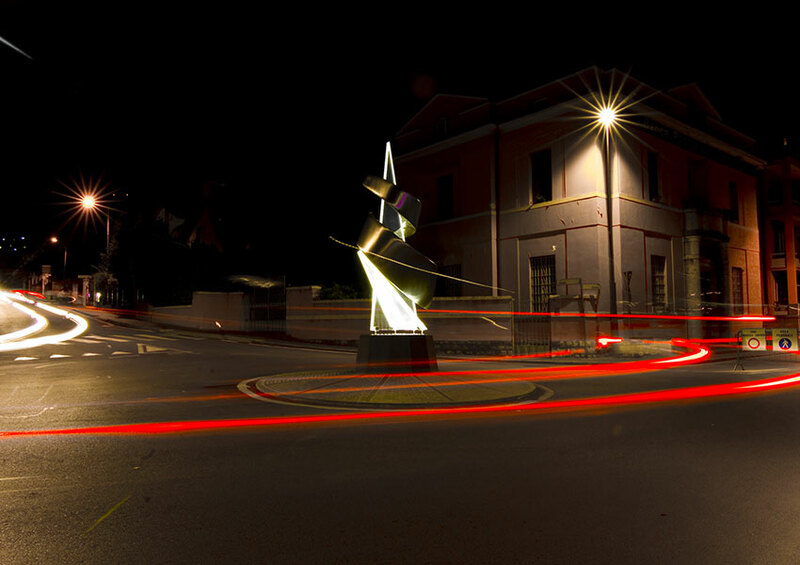 On the lakefront of Como, in the town of Gravedona, a mayor and his council decide to entrust a local artist with the creation of a work that transforms a common roundabout into a permanent exhibition. The city meets art. 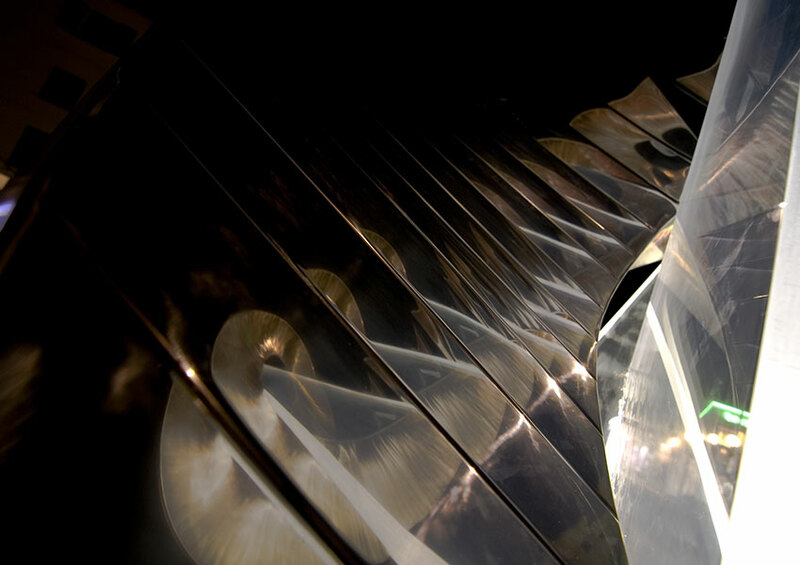 The light becomes fundamental to enhance the work of Maestro Elvino Motti. 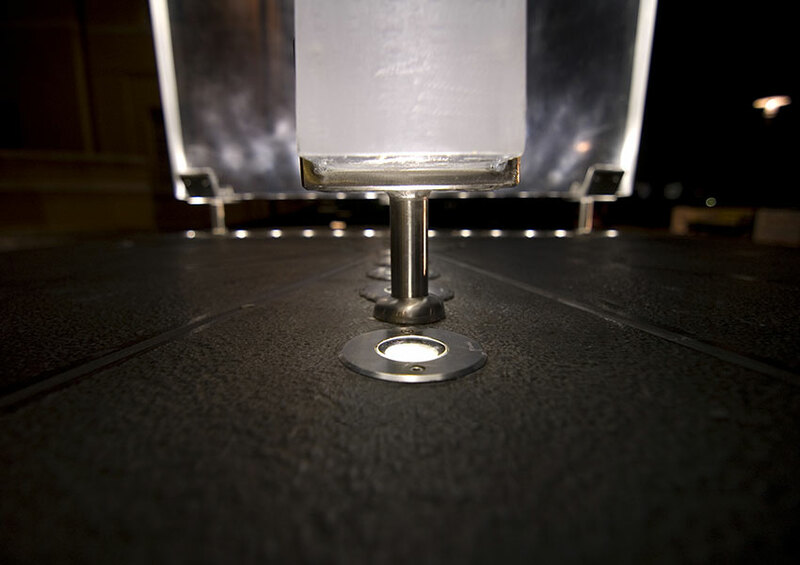 With new generation high-performance LED fixtures, the forms are enhanced and the identifying elements, the expressive potentials, the hidden readings of the methacrylate, marble and steel sculpture are created, creating a suggestive atmosphere, in total respect of the sustainability objectives energy and environment. The project was the result of numerous tests during the construction phase and a close collaboration with the artist.